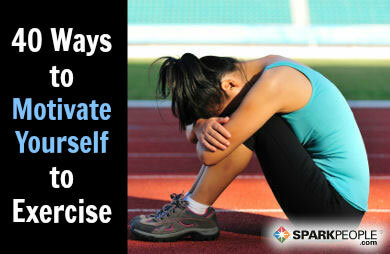 Do you have days when you plan to work out and for whatever reason you don't? Even though we remind ourselves how good exercise makes us feel and how it gets us one step closer to reaching your goals sometimes it still doesn't happen. To help you out, here are some great tips and ideas from www.sparkpeople.com for getting started and forcing yourself to keep going. Trust us, you'll thank yourself and feel better in long run. Click on the link below to discover all 40 ways to motivate yourself and stop your habit of skipping your workouts.